German thrashers, Deztroyer. The band was formed out of the ashes of the great German band Arrow that released a couple of EP's before disbanding. 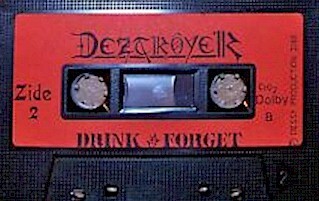 Deztroyer released a few demos during the 80s. A full length was released in 1990 titled, Climate Change. Printed covers. Recorded onto pro tapes that had stickers on the shell.